With over 20 years combined experience in the Landscape Industry we strive to create a landscape you can call home. Not only this, but also a landscape that works to compliment your house and how you tend to use it. With a name that you can rely on to get the job done Fralich's Landscape will turn your landscape dreams into a landscape you love. We have provided quality service since 2006 and will continue to do so for any size of client. Our unique approach and dedication to our clients is how we have earned the reputation as one of the best. Let us put our experience to work for you. 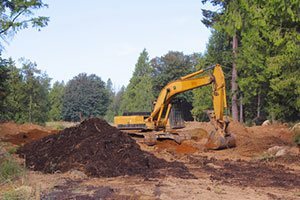 Get in touch with our expert team of landscapers today to transform your current property into the landscape of your dreams. We strive to provide you the best possible curb appeal by giving you the best yard possible. 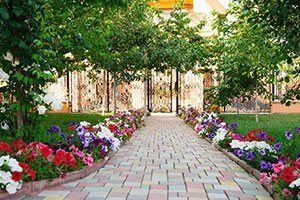 Your landscaping makes a first impression on any visitor, so let us help you make it a good one. In today's workplace most homeowners are busy and do not have time for landscape maintenance. 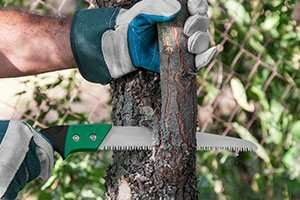 With our wide range of landscape services such as, mowing, mulching, pruning and lawn care (plus many more), we can provide you peace of mind. Enjoy your yard when you get home rather than work in it. 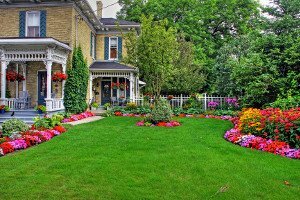 Plants and flowers can showcase your lawn. Most times however the pathways and utilized areas are forgotten. A well-planned hardscape not only will help to accent your garden, it will help to define it. A professional landscape starts with a professional design. 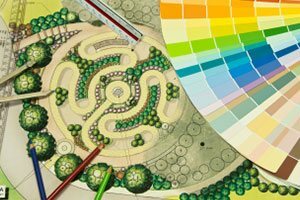 Let our seasoned design team walk you through the potential beauty and function of your yard. Like touring any landscape a guide can walk you through the beauty of the landscape and identify things you may have missed. That is the approach that our designer will take when it comes to your yard. When most people think of a perfect lawn, they imagine a vast rolling expanse of lush green grass. Most people do not care for areas of standing water or uneven turf. The ideal lawn takes not only knowledge, but the machinery to make it as well. Our yard install team not only has the machinery to make this happen, they will make sure that you will be satisfied with your lawn for years to come. Our team is also the number one choice for mulch sales and delivery. 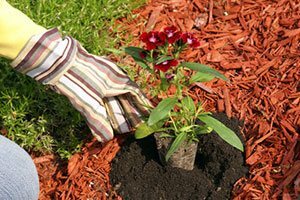 Mulch is the perfect way to beautify your landscaping, while safeguarding the root systems of your plant life. Check out our online store to see what mulch and other materials we have available. Why Choose Us For Residential or Commercial Landscaping Services? Two words: Knowledge and Quality. Fralich's Landscape started over a decade ago as a one- man operation and has now grown to a seasonal crew of 15. We rely on our combined expertise to help us take the best care possible of our clientele. We pride ourselves on our honesty, integrity and superior quality work. You will feel confident when you see one of our red trucks pull up to help you with your landscape needs. Locally owned means that we are as invested in your community as you are and we know your yard. This paired with our dedication to our customers is how we have earned client satisfaction and respect for 11 years. If you are looking for a Greenfield landscaping company then please call 317-477-0405 or complete our online request form. Love the work that was done on our yard today. Those weeds were horrible and they took care of them!! The guys were professional and nice, cleaned up the yard and didn't leave any trash behind!